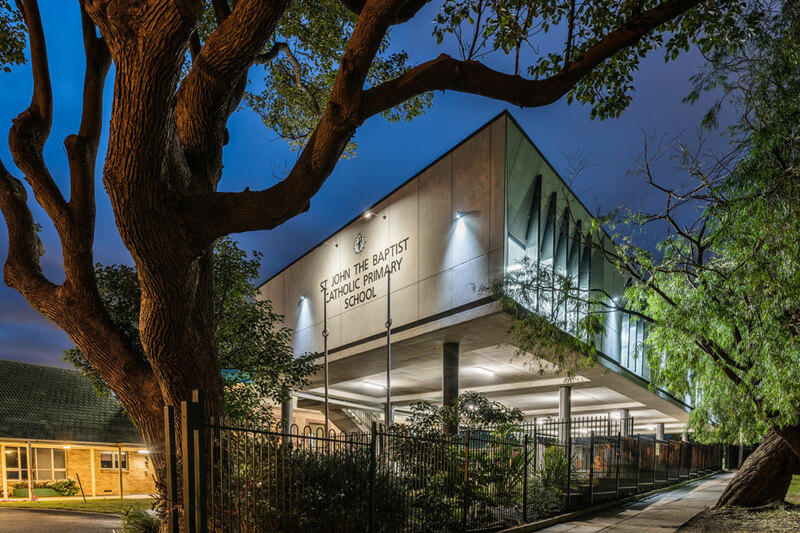 GROUPN designed the new wing of St. John the Baptist Catholic Primary School’s Freshwater campus to float over an exiting playground, providing shade for an already loved space and providing much needed classroom space for a growing school. 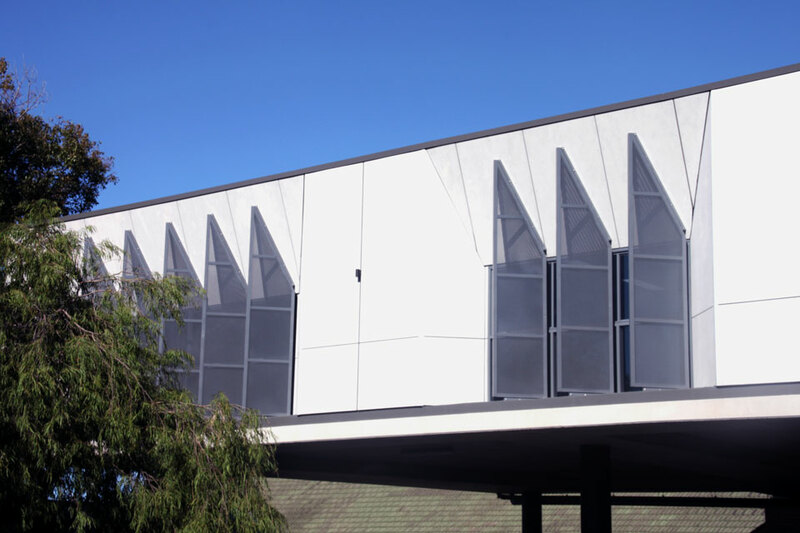 Each of the new classrooms are interconnected with breakout sliding doors to a multi-use cover outdoor learning area. A new limited mobility lift also servicing this new facility. The classrooms and breakout spaces are designed for flexible learning. The rooms are able to be transformed into large communal environments when required, through the use of sliding panels. This allows smaller learning environments to still be maintained. The covered, easy-to-supervise, breakout area provides students with a more “hands-on” space, where they are able to learn through doing. A bold design to inspire and encourage nascent minds. An innovative approach to existing site conditions, identifying value and perserving a much love playground while contributing crucial class room space.